HÀ NỘI — As many as 124 children from the northern province of Bắc Ninh tested positive for pork tapeworms, or Taenia solium, according to two institutes that conducted tests yesterday. The 124 children are among 1,500 children that visited the National Hospital for Tropical Diseases (NHTD) and the National Institute of Malariology, Parasitology and Entomology (NIMPE) for tests since last Friday. Thousands of worried parents rushed to Hà Nội with their kids after news broke that 57 children from the Thanh Khương Kindergarten in northern Bắc Ninh Province were found to have tapeworms. Late last month, pork suspected of being infected with the parasite was found in the school’s kitchen. The pork was supplied by the Hương Thành Company. The actual source of the tapeworms has not yet been confirmed. 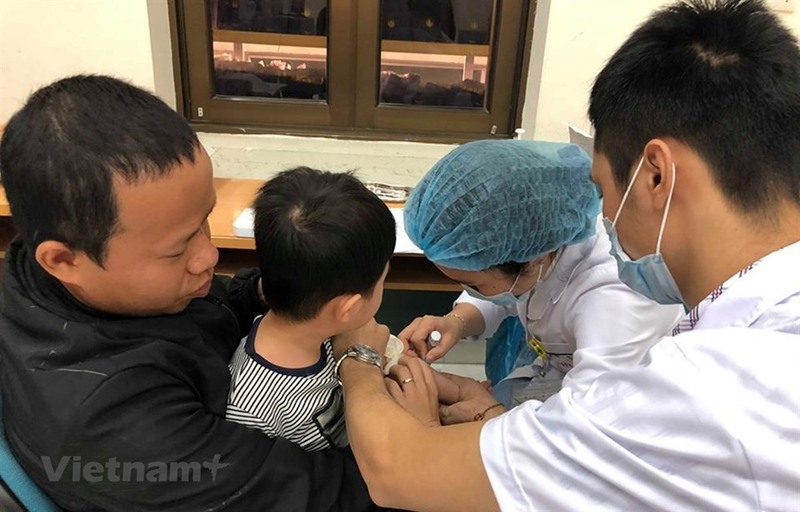 Trần Thị Hải Ninh, head of the Planning Division under the NHTD, said that the children could have other parasites due to cross infection, thus besides pork tapeworm tests, the children would be tested for dog tapeworms and fluke worms. The HNTD would release updated information of the tests today. The cost of each test is VNĐ700,000-1 million (US$30-43). Tô Thị Mai Hoa, director of the Bắc Ninh Department of Health, said that the department would collaborate with other organisations to provide financial support for the children’s tests. The department will also conduct tests on children from 19 kindergartens in Thuận Thành District which received pork from the Hương Thành Company. In a meeting held in Bắc Ninh Province last Saturday, Nguyễn Nhân Chiến, secretary of the provincial party committee, said that the committee had given guidance to concerned organisations to find out reasons for the problem. “The province will clarify the issue to ensure the rights of parents and their children,” he said.